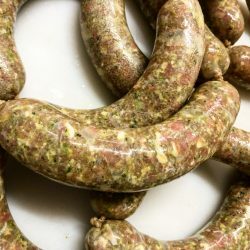 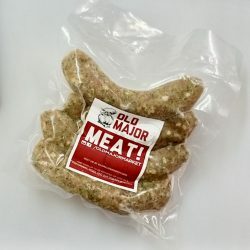 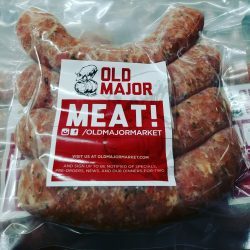 Old Major Chicken Apple Sage sausage is made with ground chicken, fresh apples, fresh sage and caramelized onions. 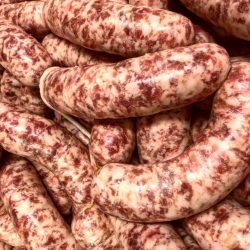 There are elements of sweetness from the onions and apples which give this sausage a little depth of character. 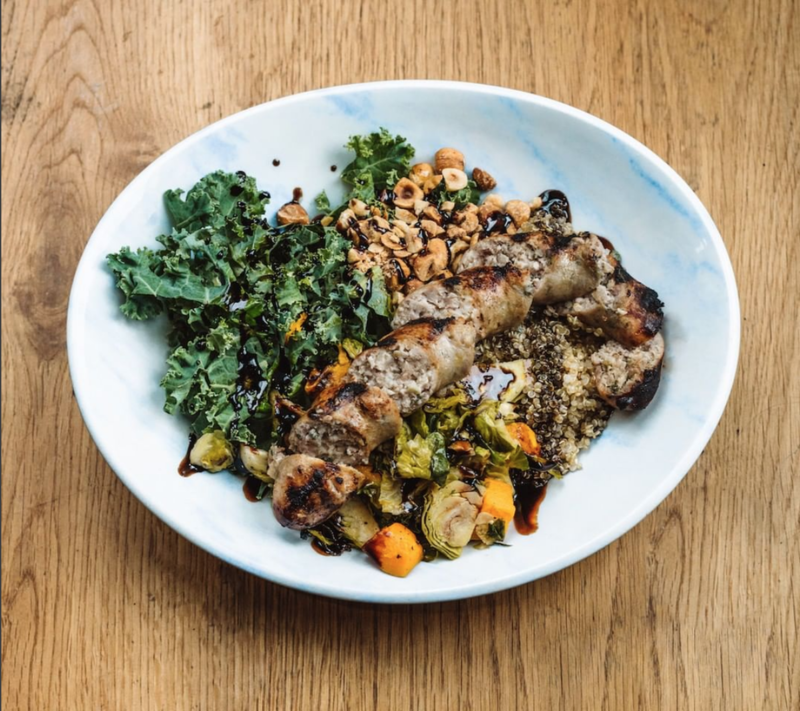 Grill and serve with winter green salad, roasted veggies, and a glass of Cru Beaujolais.